Do you grind your teeth at night, suffer from migraines or pain in your jaw? 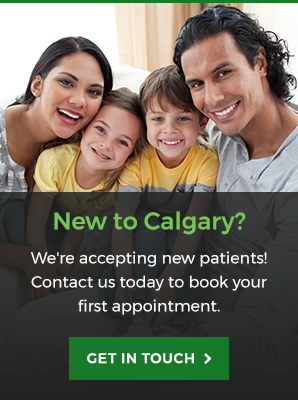 At Go Dental in Calgary, a dental night guard may be the treatment you need. Dental night guards protect your teeth if you grind them during sleep. Teeth grinding (otherwise known as bruxism) may be habitual or caused by a variety of factors, including stress and anxiety. By grinding your teeth, you can damage dental fillings, wear down enamel, experience teeth sensitivity, and even develop temporomandibular joint disorder (TMD/TMJ). At Go Dental in Calgary, our dentist will customize a night guard for you based on the severity of your condition. Night guards can be created for heavy, moderate and light grinding. Essentially, the more you grind your teeth, the harder the night guard should be. If you are suffering from teeth grinding, please contact our office to schedule an appointment for a dental night guard. We're open 7 days a week for your convenience.